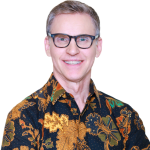 Douglas Ramage, BGA’s managing director for Indonesia, is a leading international expert on Indonesian affairs. His experience and networks in Indonesia are remarkable and stretch from Jakarta to provinces throughout the country. He maintains close ties to Indonesian policymakers, business leaders, civil society, the media and the diplomatic corps. Ramage spent the last 25 years deeply engaged with Indonesia working as a development professional and political analyst. He is fluent in Indonesian and has held leadership positions in international development organizations. He is a recognized expert in Indonesian affairs, governance, politics and economic development. 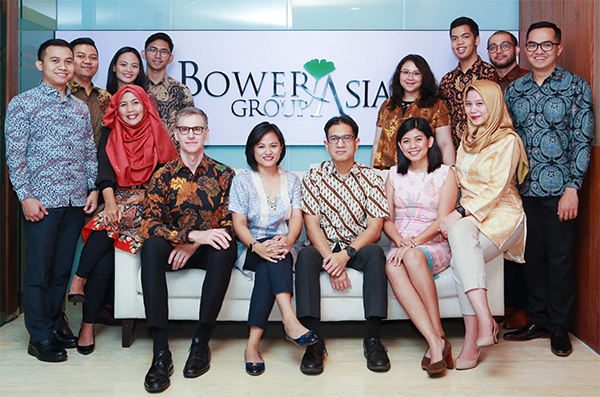 Prior to joining BGA, he worked as the senior governance advisor to both The World Bank and the Australian government development assistance program in Indonesia. From 1996 to 2008, he was The Asia Foundation’s country representative in Jakarta, responsible for the group’s activities in Indonesia, Malaysia and East Timor. He also conducted research at the East-West Center and taught at the University of Hawaii. He spent two years (1991-93) as Fulbright Scholar at the Centre for Strategic and International Studies in Jakarta and was a research fellow at the Institute of Southeast Asian Studies in Singapore in 1989. Ramage has authored an impressive range of publications addressing issues related to Indonesia. Ramage studied at the University of Maryland, the Australian National University, and received his Ph.D. from the University of South Carolina. He serves on the boards of the American Indonesian Exchange Foundation (Fulbright Commission), the Lontar Foundation and the United States Cultural Center (@America) in Indonesia.